The Microsoft Collection Book doesn't exist anymore. I won't go into details, but just that Microsoft sended me a C&D Letter. So for now the future is uncertain if I will re-open it in another name, or remains closed. We were proud to serve the Beta Community with for over 5 years. But it had to end someday, I would have hoped that it didn't came this soon. Thanks for visiting and hoped you had liked the site. Former Owner of the Microsoft Collection Book. I will not answer any questions about this or PM's (they will get deleted), you just have to do it with this, or PM's (they will get deleted). Last edited by Rob Jansen on Sat Apr 20, 2013 5:37 pm, edited 29 times in total. BTW, which FTP is it on? I have uploaded it yesterday to SP. Caution it is still a draft, i will continue the book when i install the windows versions alpha/beta/release candidate/RTM. Last edited by Rob Jansen on Tue Jun 17, 2008 11:10 am, edited 1 time in total. What is it called? I can't seem to see it. I just checked and its still on the upload account. Size is now: 560 kb. Maybe andy can move it. Windows 1;2;3 are mostly complete. 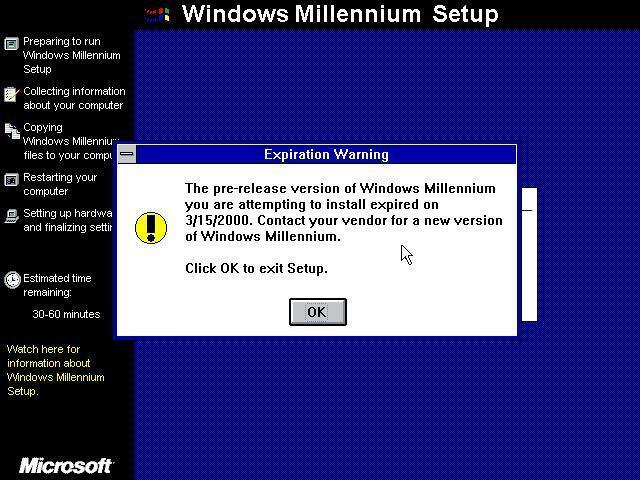 Windows 95 is not completed yet. None of the NT3.x;4.x;2000;xp-sv03 completed. And the information pages are not complete yet. Caution! ; This is still under development so its missing a lot, please be patient. Microsoft Windows Chicago is complete. Windows Home Server has 1 more build. Windows NT 3.51 installation manual added. I am now working on the nashville and memphis. Last edited by Rob Jansen on Tue Jun 17, 2008 11:11 am, edited 1 time in total. 1x have mouse support in virtual pc, but you have to change some files. build 3.0 ist build 103 and 3.22 is 1.44 i think, but not sure. later longhorns are tcp8w-t8pqj-wwrrh-qh76c-99fb, the first leaked (i hope we get it fast) is 3663, also CKY24-Q8QRH-X3KMR-C6BCY-T847Y. I am making this on the builds i have, but i will add this, maybe a fusion of the msoschecklist? Just af FiFi said a website, but i am not so good at HTML. I will correct the errors and if you have content for this please post it. Now we need a discussion about the funsion maybe or not and somebody has to host the website. And at the website that it can be accessed from another computer to edit the webpages, limited to a few people who can edit it from another computer. Until it can begin i will keep the Windows Collection Book up to date here. And you can access it at the upload account, andy hasen't moved it yet. Now you can find the NT 3.51 Fix Disk for installing NT 3.51 in VPC 2007 there too. Post here if you have information what has to get in the Book. Or you can just PM me. edit, neptune "no serial needed" isnt right too, theres the unpatched version with timebomb, got it somewhere, the serial is XFD2W-W7VH8-MVC47-KY7DQ-P8Y4J. EDIT: SOME THINGS YOU SHOULD CHANGE! 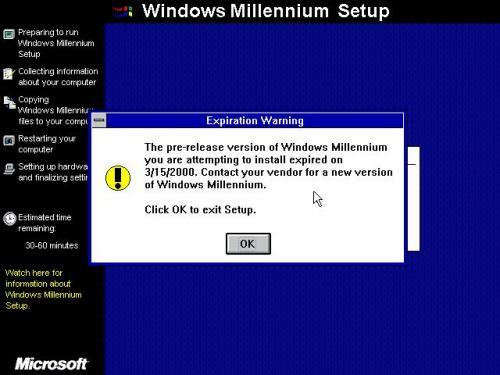 add windows 3.0MME and Win 3.0a. you dont have to enter win.com /r, win is enough. 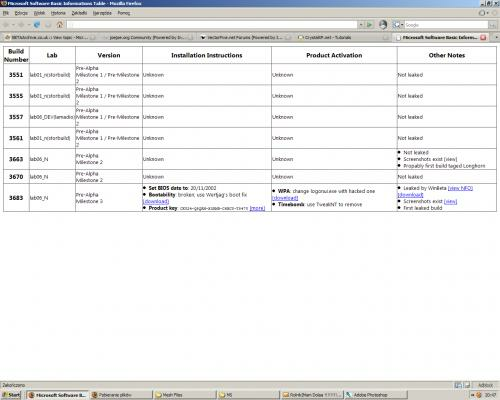 add nashville Installation Issue, youll get a error "A: not accesable". I have added these selections but i have not change the 3.0 one. Because when just use WIN on the command prompt causes windows to crash, the Explorer does not load. Thats the /r (The Real Modus) which loads. About the 1.0, i have asked my teacher but i have to ask it again if he has it. Will check the cga.lgo file when he turns the files up. Nice site you can host it but one change to the site (only the main page) Maybe an english version (together with the German one) on the main page for linking to this portion. Last edited by Rob Jansen on Tue Jun 17, 2008 11:12 am, edited 1 time in total. Looks nice. Why not put the add form in an invisible table, to make it look better? Also, if you don't use a database, how do you store your data? Do you allow data dumps for backup and/or processing? I think all of the files are placed in a folder wich are writed in php. I think that the installation instruction input box must be like this forum input box when you type a response. Have any comments or content for here, please post it. Next Version: 29 december 2007. How is it going with the webpage? Maybe i can add a section about expiration date on the side it could come in handy. Please post about it what you think, then i only need to get the expiration dates. This will hold the time given in the BIOS, otherwise it resyncs with the HOST pc. When this is used and the Virtual Machines is turned off, the date AND time does not change. This is tested! Comes in very handy when using betas. Have installed all builds mentioned in the book and the total installed size is now: 20,4 GB stil have 436GB free for installing all betas. Made a information page about installing whistler from harddisk. Included the WhistlerSetupDisk for easy installing all whistler builds. Uploaded to SP on uploadaccount. Last edited by Rob Jansen on Tue Jun 17, 2008 11:13 am, edited 1 time in total. Can my server be a mirror? It can, but i have just tried connecting to your FTP but no luck, its goes until,l waiting for welcome message... and then cannot connect to server. Last edited by Rob Jansen on Fri Nov 13, 2009 3:19 pm, edited 3 times in total.